Rigassi Daniela, Switzerland - bpw-leadershiplifelonglearnings Webseite! Daniela Rigassi has a bachelor's degree in German, English and History and master's degree in economics. She worked for 2 years as a teacher at a grammar school, 10 years as an IT specialist (application development) for an insurance company and 17 years as a project and process manager - mainly for financial enterprises. Since 2010 she has been working as a project manager for an international printing and data management company. 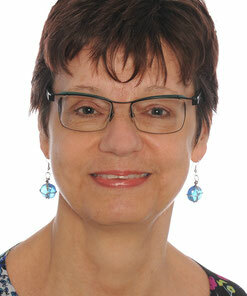 Since 2005 she is member of BPW Switzerland and acts as a delegate of the club on the national level. She is interested in the international activities of BPW.